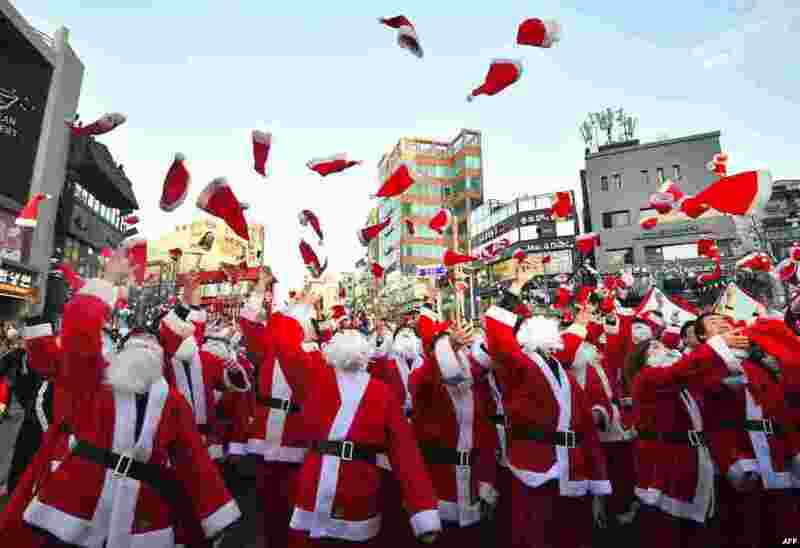 1 South Korean volunteers in Santa Claus outfits throw Santa hats during a ceremony before the delivery of Christmas gifts in Seoul. 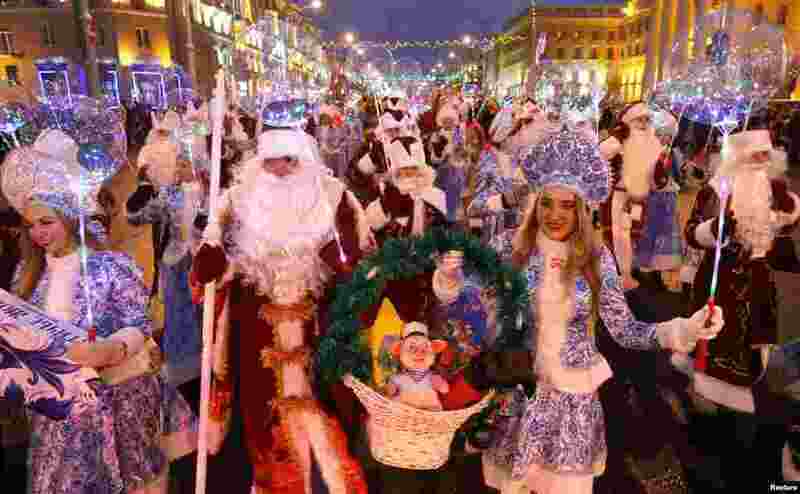 2 People dressed as Father Frost and Snow Maiden take part in a march on Christmas Eve in center of Minsk, Belarus. 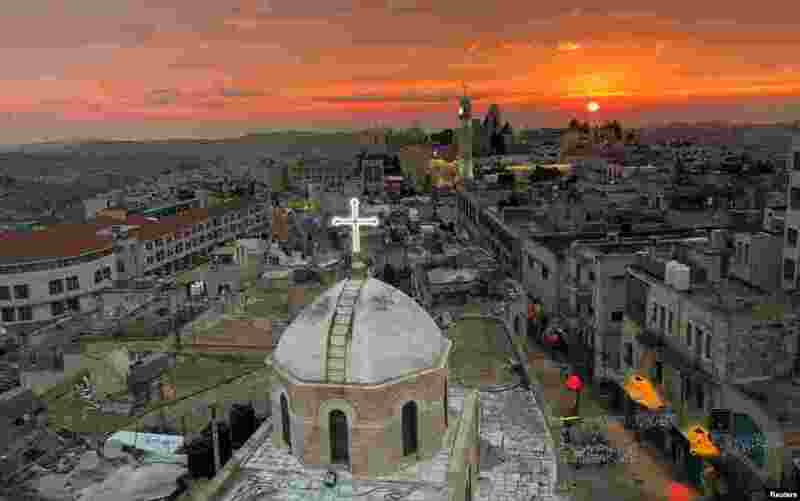 3 A view shows the dome of the Assyrian church facing a mosque minaret at Manger Square where the Church of the Nativity is located, in Bethlehem in the Israeli-occupied West Bank. 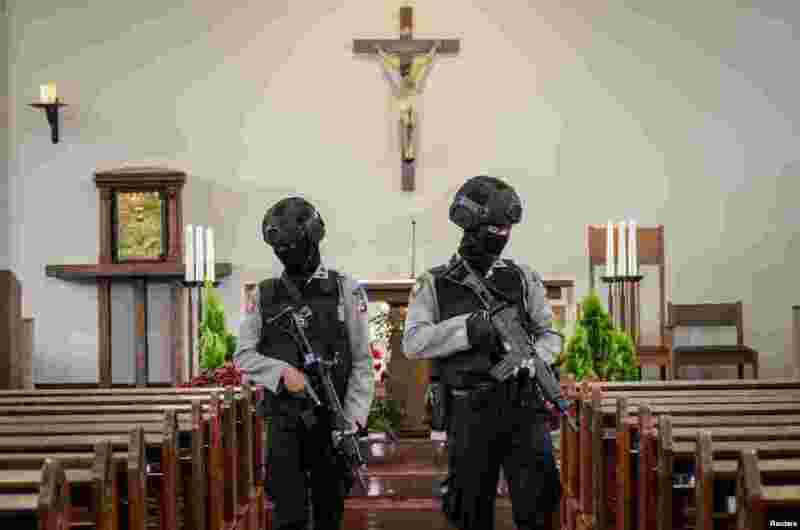 4 Policemen check inside Ignatius Church ahead of Christmas celebration in Cimahi, West Java province, Indonesia, in this photo taken by Antara Foto.